Laguna Beach is a seaside resort city located in southern Orange County, California, in the United States. It is known for a mild year-round climate, scenic coves, environmental preservation, and an artist community. The population in the 2010 census was 22,723. Historically a territory of Paleoindians, the Tongva people and then Mexico, the location became part of the United States following the Mexican–American War. Laguna Beach was settled in the 1870s, officially founded in 1887 and, in 1927 its current government was incorporated as a city. In 1944, the city adopted a council-manager form for its government. The city has remained relatively isolated from urban encroachment by its surrounding hills, limited highway access, and a dedicated greenbelt. 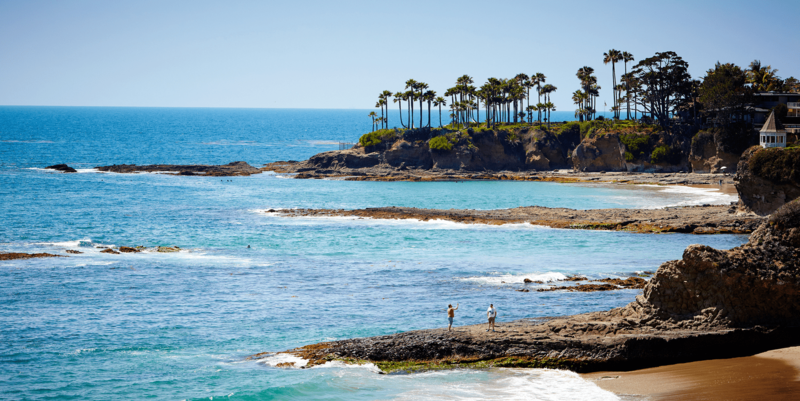 The Laguna Beach coastline is protected by 5.88 miles (9.46 km) of state marine reserve and an additional 1.21 miles (1.95 km) of state conservation area. Tourism is the primary industry with an estimated three million people visiting the community annually. Annual large events include the Pageant of the Masters, Festival of Arts, Sawdust Art Festival, Art-A-Fair, Bluewater Music Festival, and Kelpfest.